The Pfeiffer Vacuum AMI, with its optical emission spectroscopy is perfectly suited for pharmaceutical applications. Especially the stability of the primary packaging integrity to assure sterility and to protect the pharmaceuticals against microbiological, oxygen or moisture ingress is very critical. The patented method does not require any specific tracer gas. Instead the gas mixture present in the container head space of the packaging is used to perform high sensitivity testing over a large detection range. The test method is applicable for different kinds of packaging like blisters, pouches, vials and plastic bottles and can also be used to test sealed devices like battery cases. 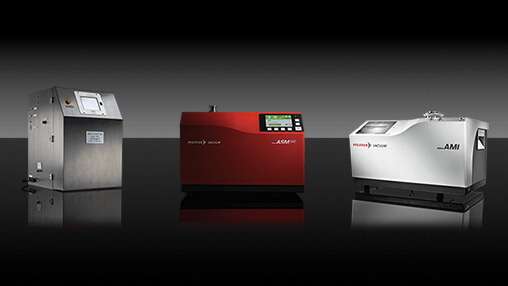 Thanks to its large detection range, the AMI can replace helium leak testing and gross leak test with one system. It delivers a user-independent, deterministic go / no go result and also enables quantification of the leak test result. Therefore, the calibration validation is based on certified calibrated leaks and offers high reliability and accuracy according to USP 1207.1. The software solutions used in the AMI are compliant with 21 CFR part 11. Optional software solutions are available for a manufacturing execution system. Trend analysis can be implemented in the software for early indication of drift production and packaging equipment. 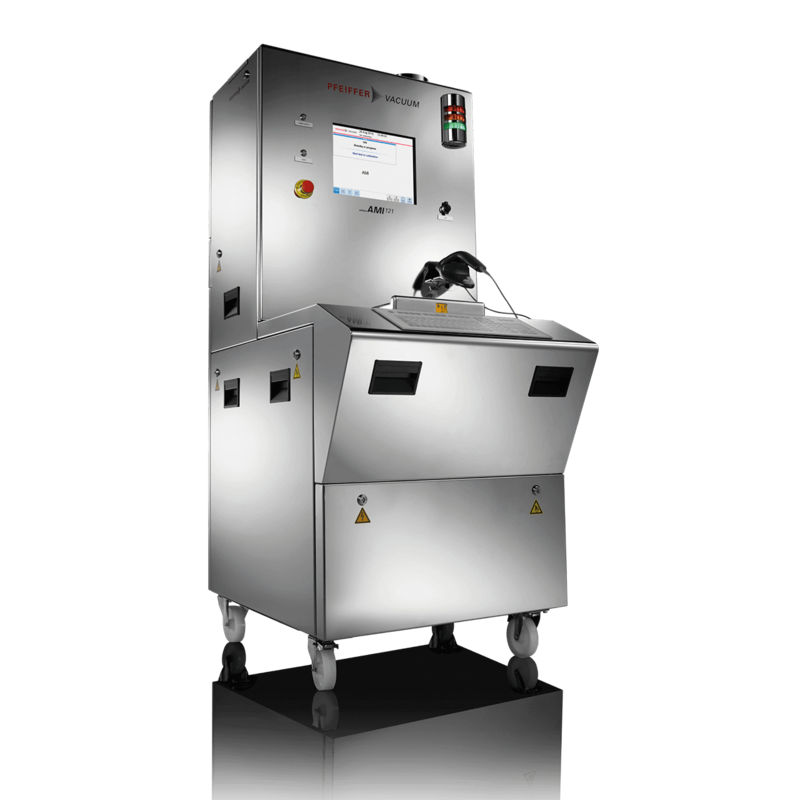 The standard configuration of the AMI 121 comes with a 204 x 132 x 9 mm test chamber, but the chamber can easily be customized for specific packaging. Pfeiffer Vacuum supports customers from the Pharmaceutical industry through the entire GxP implementation process if requested.